Oh, Cinderella’s everywhere you might not be going to the ball, but you’ll give the Cullens a run for their money with your sparkle and shine after a dip with Lush’s sparkly pumpkin! Part of their 2016 Halloween range, it’s one you need to add to your bath bomb horde, I mean step aside star light star bright, and move over golden wonder, there’s a new glitter bug in town and its making shining its business! I’ve rekindled my obsession with baths of late, maybe it’s the dark nights, the cold days, the numerous bottles of bubbles and candles I seem to have collected over the summer, whatever excuse I can come up with, I’m slowly turning into a sud, or a permanent wrinkle with all the time I’m spending in the tub - and who am I to complain when I have bath time pretties like this and a good book to keep me company? Juniper, grapefruit, and lime come together to create a magical concoction of skin loving, softening, uplifting, refreshing and protecting properties that lull you into a land of make-believe and magic for as long as the bubbles last. 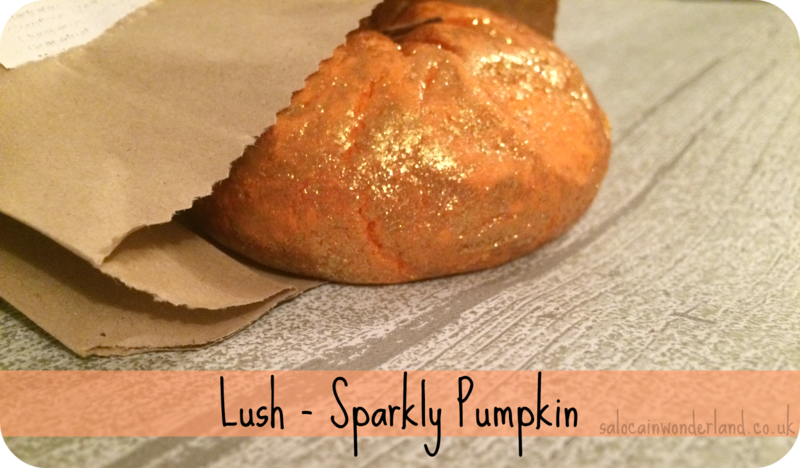 I popped half of the sparkly pumpkin under warm running water and watched it crumble and foam, filling the bath with glitter and turning the water a very Halloween-approved shade of orange (ok, this is where things get a little less magical as the colour actually reminded me of something grossly related to my day job and well yeah…let’s just skip over that part thank you very much). Halving my bath bombs and bubble bars is something I’ve started doing recently and seriously, it fills the bath with a ridiculous amount of bubbles, like why did I ever use a full one? Never again! I’m all about getting more bang for my buck, and if it makes no noticeable difference then why not? 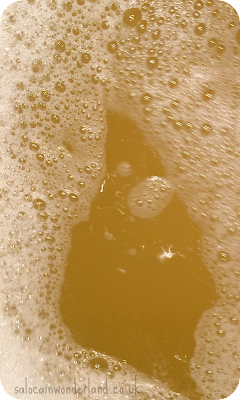 Two baths - one bubble bar, winner! 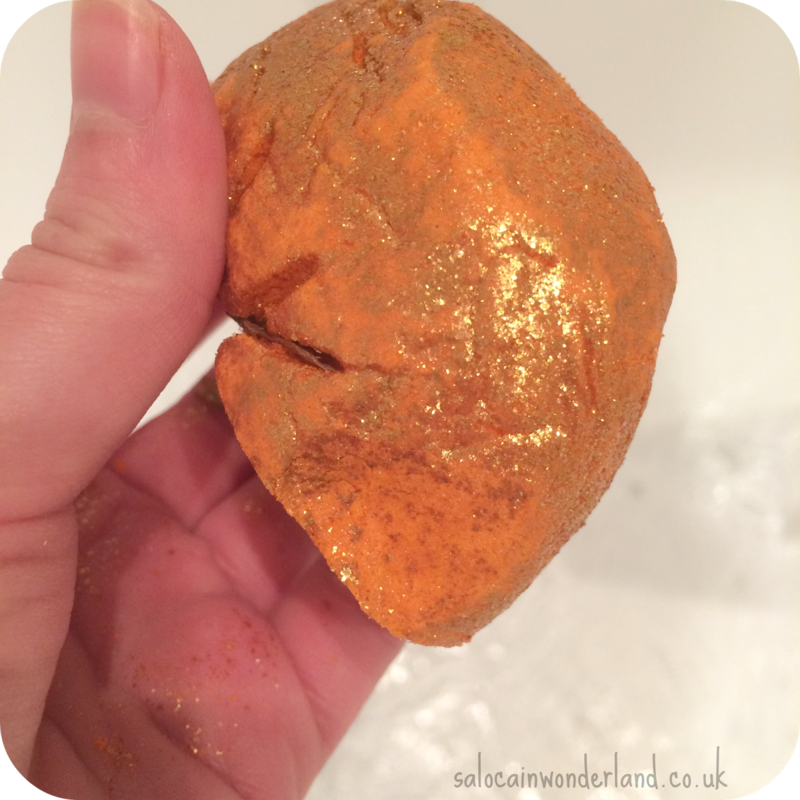 There is so much glitter in this bath, and it’s all golden and fine and sparkly, I couldn't help but keep waving my arm around in under the lights and admiring my very Cullen-Esq glow (because we never actually got over our Twilight phases did we?). This did leave much to be cleaned up after the bath had drained which annoys me, but it did clean off quick and easy with a quick blast of the shower. My whole house smelt like grapefruit and lime, not exactly autumnal but very refreshing and pretty! Can’t complain. It’s a pumpkin. It smells great. It sparkles. I sparkle. 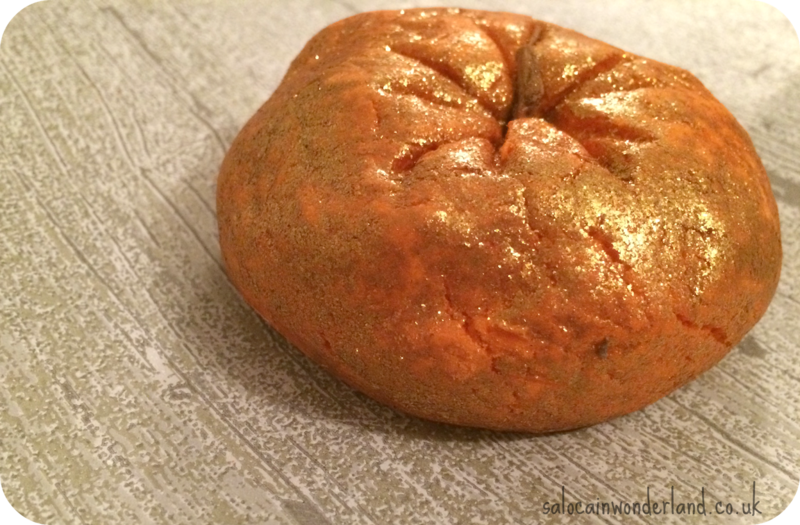 Did you try out any of the Lush Halloween collection this year? You can quarter the really big bath bombs too and still get a bath full of bubbles out of them! Makes them much better value! Every single year this reminds me of a sparkly cat bum. I can't not see it! And now I can't un-see it either haha! Oh dear! Ohhh I plan on going over board at Christmas if I work through a chunk of my current bath stash!